I am not sure whether how many of you keep testing different antivirues, anti malwares or firewalls on your system? Or how many of you keep updating to latest version of security software and test it whenever something new comes? For me, as I need to run this blog and a Forum which need a lot of testing often and it means that I need to download security apps too often. Its a tiresome process sometime, but now it can be a bit easier with a tool called SSDownloader. SSDownloader is a opensource application which basically works as a one click downloader for popular antiviruses, firewalls and anti malware applications. It includes both free and commercial security apps to let you download. Obviously the commercial or paid products are trial versions. 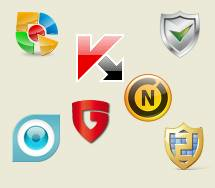 The list of popular applications that are included are popular free apps like Avast!, comodo, Panda, Eset, Kaspersky , Security Essentials, Malwarebytes, HiJack This, Comodo Firewall, CCleaner, AutoRuns, and Process Explorer and loads more along with commercial applications like Norton, Kaspersky, NOD32, Bitdefender etc. Just you need to select the apps you want to download and latest version of everything you selected will be downloaded automatically in the download directory. Just give it a try and you will love it hopefully.